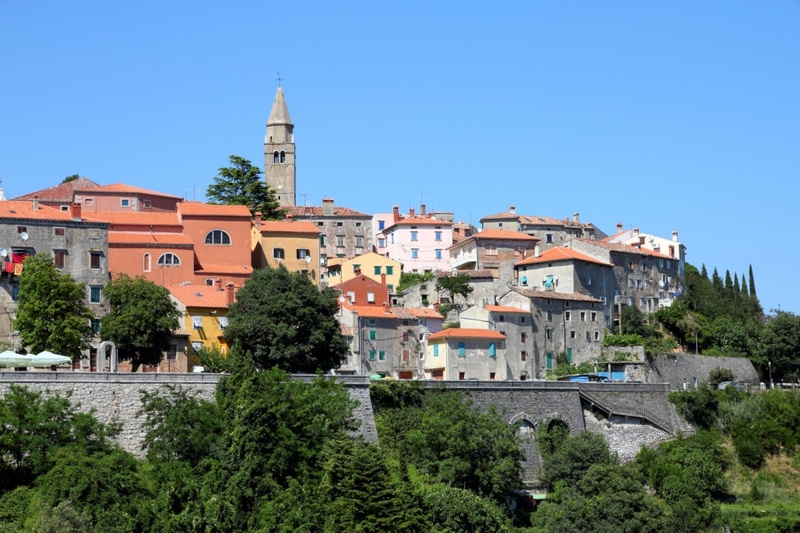 Labin and Rabac are two adjacent settlements at the south-eastern Istrian region functioning as a small urban unit. On the green hills above the sea medieval Labin overlooks the beautiful bay in which lies Rabac. And while Labin provides rich cultural and historical heritage with numerous museums and art galleries, Rabac has the richness of untouched nature, beautiful beaches and a wide choice of accommodation options and tourist services. Labin has been inhabited since the early prehistoric times, approximately 2000 years BC. Many civilizations inhabiting the area left its indelible trail in the city’s architecture and art. As you walk through the narrow streets of the Old Town, explore the Municipal Loggia and numerous baroque palaces, medieval fortifications with renaissance bastion and the 17th century church tower. From the higher points of Labin you can see Rabac and Kvarner Bay. Rabac used to be a small fishing settlement which slowly developed into an important tourist destination. There are several hotels in the city area; two among them are four star resorts: Adoral Hotel Apartments and Valanar Bellevue. You can choose your accommodation among several tourist settlements as well. Private accommodation is an important part of the local tourist offer, ranging from private rooms to leisure houses. Rabac residents are proud of their impeccably clear sea and untouched, naturally beautiful and accessible beaches, the majority of them awarded with the Blue Flag. Lanterna is a pebbly beach suitable for families with children as well as for various forms of recreation. St. Andrea beach is situated in close proximity to the main city promenade, protected by the fragrant shade of the nearby pine trees. There are numerous activities to choose from and to enjoy in besides swimming and sunbathing. You can try sailing, diving, mini-golf, beach volleyball or tennis. And if you wish to enjoy some mainland activities as well, take a bike ride from Labin towards one of the nearby destinations using one of the popular cycling routes and enjoy the unique Istrian scenery. While Labin’s nightlife offer mostly covers cultural events such as classical music concerts or various art exhibitions; Rabac has a more dynamic nightlife. Numerous beach bars and clubs open their doors after the sun sets, offering great music, refreshing beverages and good company until the early morning hours. Girandella beach is the most attractive local party destination. Each year it hosts electronic music festivals with numerous famous DJs and musicians. Find information about selected Hotels, apartments and rooms in Labin-Rabac to choose the perfect place for your accommodation. ©2019 - istriatravelguide.com All Rights Reserved.